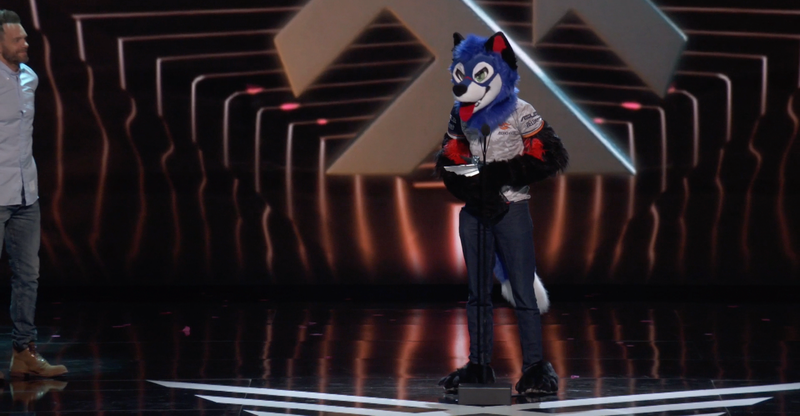 Dominique “SonicFox” McLean took home the award for Best Esports Player tonight at The Game Awards in Los Angeles. The 20-year-old full-time student and fighting game ace gave a candid acceptance speech that was one of the night’s more heartfelt moments. McLean won against four other nominees including the stern-faced Street Fighter master Hajime “Tokido” Taniguchi and Sung-hygeon “JJoNak” Bang of the Overwatch League’s New York Excelsior. He was also nominated in the Best eSports Moment category for his decision to switch play-sides against his rival Goichi “GO1" Kishida during the Dragon Ball FighterZ finals during this year’s Evolution Championship Series fighting game tournament in Las Vegas. McLean would win that match, and has continued to win tournaments in Dragon Ball FighterZ and Injustice 2 throughout the year. Stepping on stage in his now-iconic fursuit, McLean gave an acceptance speech that was funny, honest, and worth watching. Throughout the speech, McLean struggled to catch his breath and took time to call attention to the condition of fellow esports professional Curtis “Rewind” McCall’s father, who has Stage 3 cancer. After winning the Injustice 2 Pro Series Grand Finals in Chicago, Illinois last month, Maclean donated $10,000 to McCall’s family. McLean’s speech went longer than planned. Attendees at the show could see that the teleprompter read “Please wrap it up.” But before he did, McLean had one more thing to say.